Belgian waffles consumed: Lots and lots! 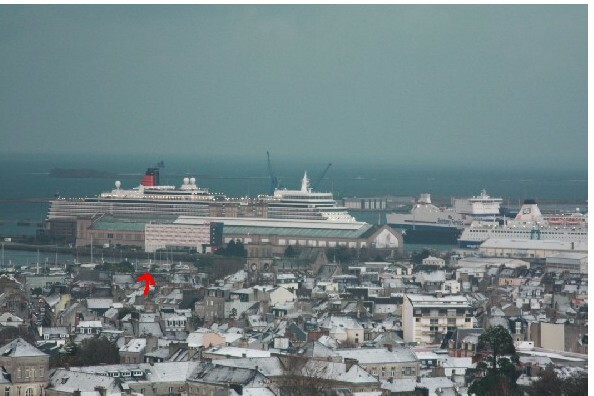 This photo was taken from Cherbourg castle when MS Queen Elizabeth visited Cherbourg the other day – monster is just visible in the Port de Plaisance below. 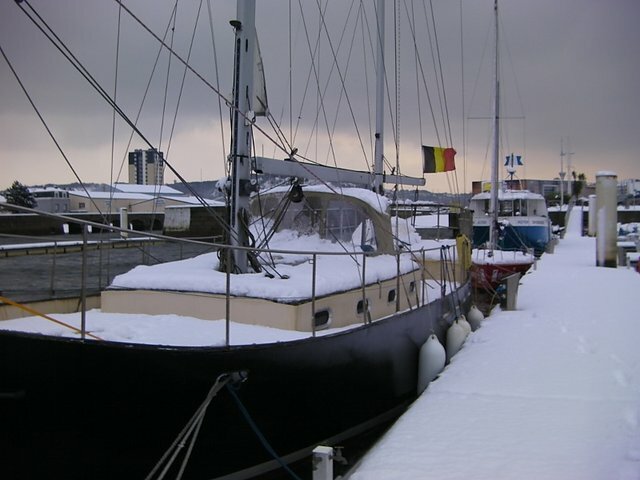 We’ve had a rather soft landing in Cherbourg; the winter rates are comparatively affordable, and I soon found myself some party friends in the form of a crew of international English teachers on Couchsurfing. Not that helpful for immersing self with the Frenchies of course.